Movement and play for those who are unable to get out of their room. With the emphasis on enjoyment participants have fun and relax whilst benefiting physically and mentally from the dancing, singing and play. Now everyone can experience the enjoyment of Active Armchairs. 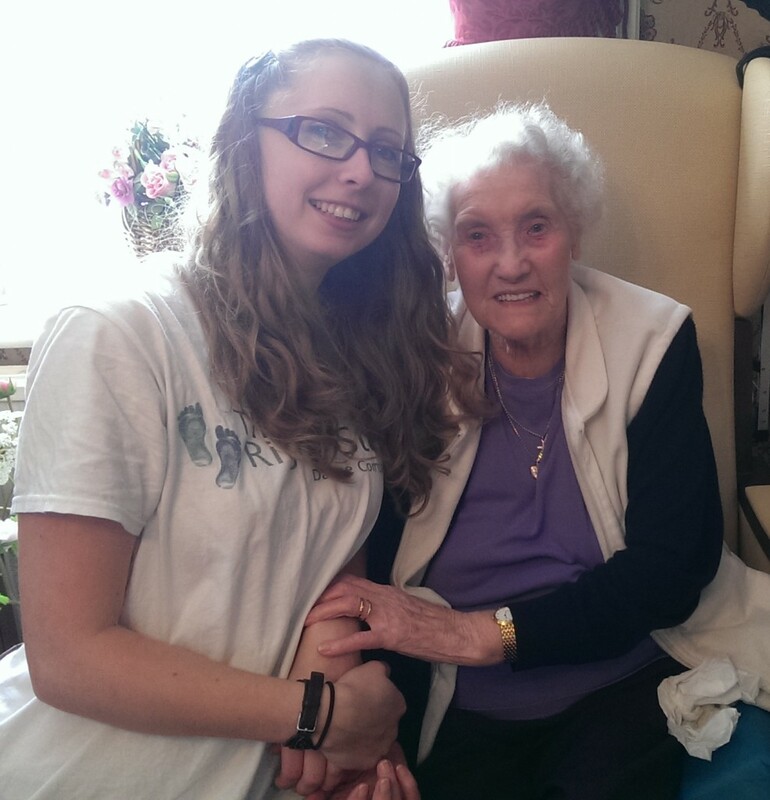 We visit your residents in their rooms to deliver this personalised and tailored service. As with our group sessions, the smallest movement counts, but these sessions may also include song, story telling and playing instruments. Dancing: Foot tapping and clapping are the most popular, occasionally a participant of a One 2 One session would like to more and that’s where we draw from our Active Armchairs repertoire of dances! Singing: We respond to the participant’s taste in music and have a large collection with us so we can find something they like even if it’s the first time we’ve met. Play: We have a collection of props and instruments that we can use as inspiration. Texture is a big part of what we do in One 2 One sessions, especially when movement is very limited. We also use story telling to inspire our play and use play to inspire story telling.